Most rubber stamping companies have an Angel Policy. 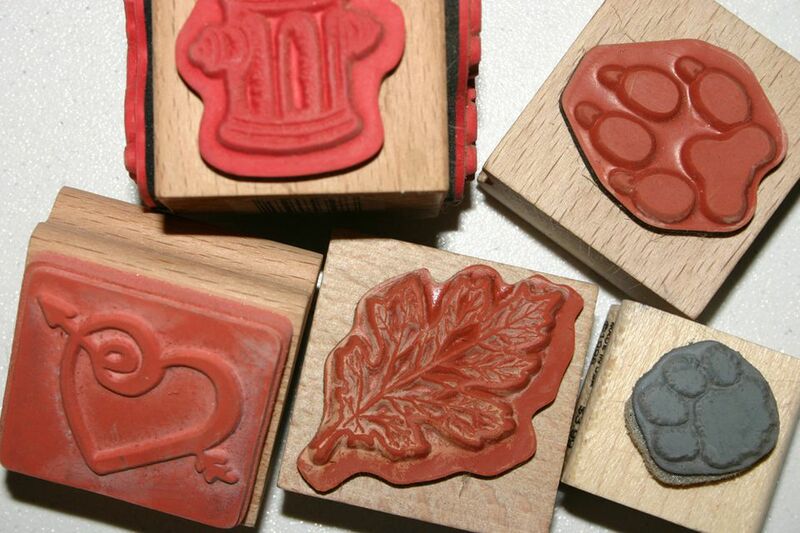 This is a form of Limited License and states how a rubber stamped image may be used, for instance, whether it can be used to create products for sale. Away With The Pixels sells a range of items including digital stamps. The terms and conditions page outlines the Angel Policy. Special Requirements: Credit Clear Dollar Stamps where possible and when selling hand-stamped projects, the seller must make it clear that the items are hand-made and that the images used are from Clear Dollar Stamps. Special Requirements: The following notice must appear on hand-stamped artwork created for resale: "Designs © CTMH Co". Permitted Sales Outlets: Items can be sold at craft fairs, fundraisers, retail locations, and over the Internet. Sales may be made only in the United States, Canada, or on U.S. military installations. Angel Policy: Yes, but not for all products. Stampers need to get in touch with gel-à-tins to find out which products are covered by the Angel Policy. Special Requirements: Wherever possible, Hero Arts Trademarks and Copyrights should be displayed. An acknowledgment that you "Agree to respect Hero Arts copyrights." Special Requirements: The following notice must appear on products created for resale or on their packaging, in a size and location that gives reasonable notice: “Components © Imaginisce. Other Information: Refer to the website for full Angel Policy. Angel Policy: Yes, it is found on the E K Success website. Permission must be applied for. Quantity Limits: Quantities are limited in scope and do not constitute an ongoing business. An acknowledgment that you "Agree to respect Posh copyrights." Stampndoodle Designs sell traditional rubber stamps and other supplies as well as Digital Stamps in black and white as well as color. See the website for more information about the Angel Policy. Special Requirements: "All craftwork created for sale using Stampin' Up! images must be marked with one of the images from the official Stampin' Up! Limited License stamp sets shown in the Idea Book & Catalog"
An acknowledgment that you "Agree to respect Stamping Bella copyrights." Special Requirements: See website for information about how copyright is to be noted on finished projects. Special Requirements: Credit 'Stamps of Life' somewhere on each creation if possible. Special Requirements: Please acknowledge this company as the image source for any commercial use. Special Requirements: When possible, credit to Verve should be given on the back of the item or on a tag accompanying the item.